If, as Wordsworth proposed, “the Child is father of the Man,” then reading someone’s childhood memoirs may help hold up a mirror to the adult mindset. If that someone is a noted author such as Edith Nesbit, then it’s hard not to see in the accounts of youthful escapades a key not just to understanding their motivations as a grownup but also for revealing the inspirations for their writings. And so it is with the reminiscences in Long Ago When I Was Young, written for publication when Nesbit was nearly forty but just before she embarked on The Treasure Seekers, the first of her many books aimed specifically for children. Edith (or Daisy as she was known to friends and family) was born in 1858. From the age of seven, three years after her father died, until the age of twelve she lived the life of a nomad, travelling with her family and attending schools in England, France and Germany. Her mother Sarah was much concerned with Daisy’s consumptive sister Mary (also called Minnie), and sought ways to relieve her chronic disease by taking her daughter abroad, leaving Daisy in English boarding schools, first in Sussex and and then in Lincolnshire. When these periods proved to be disastrous, Daisy stayed with a French family near the Pyrenees, then, after a brief time back in an English school, to Dinan in Brittany where, with her mother, half sister Saretta, sister Minnie and (in the holidays) brothers Alfred and Harry, she had a semi-idyllic life in a Breton farmhouse, at liberty to roam the countryside. By the last chapter she finds herself “only ten years old, and […], moreover, with not one-tenth of those ten years recorded”. After a further period on the Continent experiencing the Franco-Prussian War (“I have left myself no space to tell you of my adventures in Germany and France during the war of 1870”) the family, following Minnie’s death, returned to England, to Kent, to live a more settled existence – for a while more, at least – at Halstead Hall. Here, Daisy’s memories are of sunny days reading in the garden and “a little room of my own … with a long low window and a window-ledge, where bright plants in pots, encouraged by the western sun … blossomed profusely”. She had a bookcase with writing-table by this same window where she would write verse. Daisy had found her life’s work. Reading these memoirs is often a melancholy affair. If it’s possible to gauge one’s overriding adult philosophy from recalling that first strong childhood memory, and if that applies to the young Edith Nesbit, what are we to make of the first two chapters spotlighting her being bullied, first by a fellow pupil, then by a nursery teacher? Or of the next two chapters, focusing on her fear of the dark and on her terror at seeing desiccated bodies on display in a Bordeaux church? Certainly the latter two would help furnish material for the score of ghost stories she would pen during her literary career. A further chapter is entitled ‘Disillusion’, and another chapter recounts a frightening experience for the four females travelling in the wilds of 19th-century Auvergne. Not all is sombre, however. That farmhouse near Dinan was a bright interlude in her life, as was her time at Halstead. The darker episodes that provided themes for her fiction, for example the ghost stories (which have recently been re-published in a collection entitled The Power of Darkness: Tales of Terror), perhaps helped to exorcise their malignity. Other neutral memories find their way into her children’s books: for instance, the bazaar in chapter 6 and various elements in chapter 8 (the windowless tower with its legend of treasure, the bottomless pit and the wayside shrine) are polished up for The Phoenix and the Carpet, and chapter 10’s expedition up a stream is reminiscent of a chapter in Five Children and It. A bitter-sweet ending, then, but perhaps that’s not surprising. Reading those children’s books of hers is enjoyable but knowing that some if not most incidents were inspired by her own experiences gives an added dimension to her fantasies and, as you say, a sense of authenticity. I haven’t come across a writer yet, who, when pushed, will admit that many of his or her stories come from experience or deep seated emotion. Experience seems to be the root of imagination. I know what you mean, Sari. Writing that triggers the shock of recognition for the reader or mirrors the odd non-sequiturs of everyday life feels more true than any amount of contrived plot lines. “I have left myself no space to tell you of my adventures in Germany and France during the war of 1870”. Delightful. And I suppose even earlier there was Daisy Ashford, and the young Jane Austen? I have a confession, Lizza: I was doing some of that urgent tidying up you mention of bookshelves in our loft (the kind where the floor has become a de facto bookshelf!) when I came across this book. I dusted off a review I did many months ago on this blog, did a few tweaks, and voila! But it was, as you say, a synchronous retracing of childhood memories (albeit at secondhand). Do go back into the loft for Jane Austen’s juvenilia – revealing about her later preoccupations, and great fun. She was NOT a polite young lady! And I, too, would love to read more about Joan Aiken’s debt to Nesbit. Please do find time to write about this, Lizza. I’ve located my copy, Julia, and it’s on the pile! Thanks Julia, nice to meet you here, ( and for the very cheering re-blog!) I’m re-reading Nesbit’s short stories with great pleasure – a prince who has to disguise himself as a lift-boy, or an employment exchange for Royalty – rather pertinent amid the current re-appraisal of causes of WW1- some of those royal leaders could have listened and learned! She was a writer of her time who helped change attitudes more than we may realise. I sense we might keep bumping into each other! A pleasure to reblog my favourite kind of post. E Nesbit was quite political in her private life. There’s a very good biography, ‘A Woman of Passion’, by Julia Briggs. Anyone read it? Nesbit’s early writing – for the market – was pretty weak & sentimental in the required Victorian style, but she hit her stride with realistic and funny children in the Bastaples. Children’s authors following on owe her a lot, whether they know it or not. A Woman of Passion is another title I’ve noted before but not got around to reading. And didn’t Noel Streatfeild pen a biography too? Thanks for your link, Lizza — Edith’s was indeed a life most extraordinary, wasn’t it! Let me know how you get on with the Streatfeild book — she wrote the introduction to Long Ago…. Sadly not a patch on Julia Briggs – the introduction to ‘Long Ago…’ pretty much says it all. 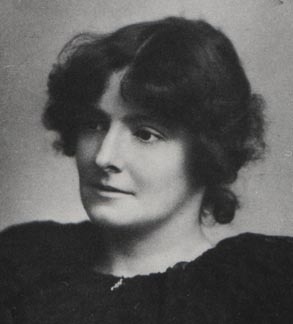 And her assessment of the books is very much of her own time and style – I loved Streatfeild’s theatre families, but they weren’t as recklessly inventive as Nesbit’s, or allowed such wild adventures – both writers very much drew on their own childhoods, and they were so different. Oh, what a shame. I suppose most of us can only really relate to our own experiences rather than comvincingly get under the skin of another person. A real talent if you can do the latter.